There are large numbers of neck pillows available in the market today, but choosing the right one that can provide great relief to your neck pain is essential. Prior to choosing right neck pillow for you, there is need to understand how neck support pillow functions and heals the neck problems. In order to find best bed pillows in India, you need to know about real process to choose an ideal pillow. A displacement pillow is made up of materials like water or memory foam which displaces or accommodates your neck and head. The memory foam compresses under the weight of your neck as well as head for molding to a shape and offering comfort at maximum level. In same way, a water pillow also displaces for molding to your neck and head as well. One great thing about a displacement neck pillow is that it reliably accommodates many types of distortions of the cervical spine that helps in stabilizing acute injuries. In other case, a corrective neck pillow, made of foams as well as fibres, grasps your head and at the same time effectively offers great neck support while sleeping. Such therapeutic benefits are available just because of elasticity of pillow’s foams as well as fibres. This pillow functions just by offering the required resistance and gripping the neck comfortable to maintain the natural curve of the spines. To select between the displacement and corrective pillow, you should first find out the end benefit as per your desire. You may need to restore your neck curve for correcting the actual cause of your neck pain; you may want to accommodate an injury or may be just willing to maintain a correct position for having a healthy neck. Thus, recognising a required end benefit may act as a good start for you to choose a right pillow for your neck. If you are having a neck pain due to wrong sleeping posture, sleeping without a pillow or using a very skinny fibre pillow helps. It is also suggested to bring and use the neck pillow during travel for getting ample support during sleep or rest. A neck pillow is also required for resolving the actual cause of pain and helping in re-establishing the accurate neck alignment. There are not only neck support pillows, but also other orthopaedic cushions that are available in market which are made for specific parts of the body, like legs, knees and back. Most people may not even know about that how to choose best pillow for them. Many people just choose soft pillows without considering the best kind of support. Thus, there is need to explore the neck support pillows. Neck support pillows in India are readily available in market. 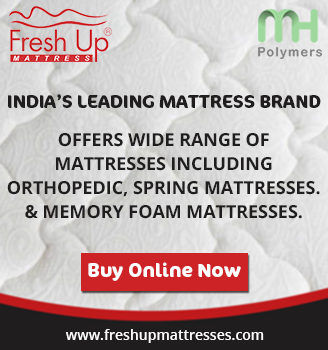 Memory foam is a material which is made from high density component that hugs your body form and keeps it on accurate position. Once the position is fixed, you will be able to get the most comfortable position as required by your body. Virgin fibre pillows are another option.